To those looking to hire a Drupal developer, there are things you should know. The Drupal community is called home by more than a million professionals, including Drupal Web Developers, Designers, Trainers, and Strategists. There are seemingly countless Front-end Developers, Back-end Developers, DevOps Engineers, QA Engineers, Project Managers, UX/Designers, Technical Architects, Product Owners—all working with, in, and through Drupal. And while it's all so fantastic, it can pose problems when you’re looking for a catchall—to simply hire a Drupal developer for your website. The challenge is narrowing things down, isolating, finding the right level of specificity (and skill within these layers) to suit your organization’s needs, short or long-term. In this guide, you'll learn about Drupal skill sets and qualifications to get an idea of where to target your focus. What's more, you'll explore some of what to expect post saying: "you're hired." We'll make you aware of mistakes to avoid when picking your candidates, of the good tips, resources, and plenty of lessons learned. So let's start here: what's your project? Having a firm grasp of what you want to accomplish with Drupal is key to understanding which way to go. To help flesh out some of those details, let's first attack the broad stroke of Drupal site building, conisting of back-end development, and front-end development. A Drupal site builder may be the best starting point if you're searching for generalists and need something suitably professional that won't necessarily conform to every custom piece of functionality. A site builder, therefore, may not be able to use PHP the way a master sculptor uses clay, but he or she can understand site frameworks and work efficiently within the core and contributive code of the latest Drupal versions. 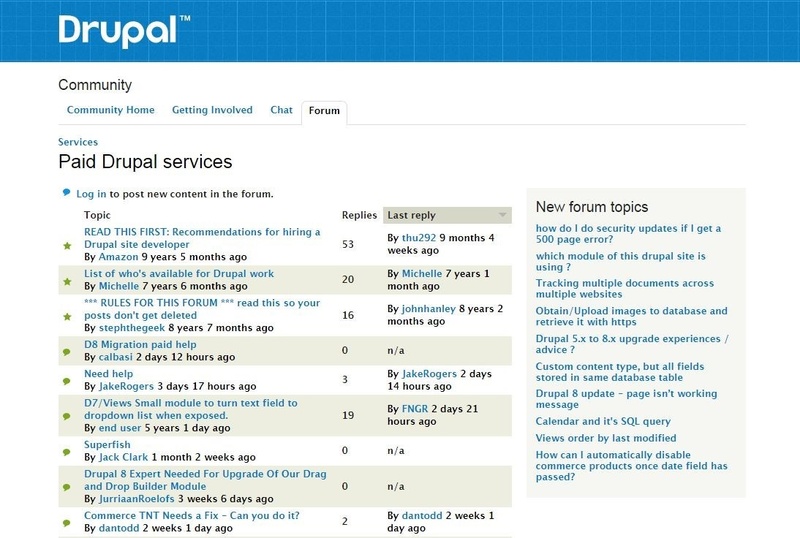 Back-end Drupal developers work with and help create what's under the hood of your site. They're proficient in coding and also understand general design and development and deployment of course. They "get" basic architecture and best practices for site building. They are capable of creating and executing new modules. They are also equipped to customize and extend existing modules. In addition to a track record of experience, you will want your Drupal back-end developer to have knowledge in HTML, CSS, JS/JQuery, and Object-Oriented PHP. Mistakes to watch out for in hiring would include lack of knowledge in the latest versions of Drupal and a non-existent history when it comes to contributing to code and tackling tickets. Also, avoid lazy testers. A good back-end developer can command six figures in larger markets. Example: The job site Indeed compiled data from the United States showing Senior Drupal back-end developers averaging around $117,018 per year excluding benefits. The Front-end Drupal developer will focus primarily on the client experience while helping to Make Your Drupal Platform Beautiful. While back-enders deal in code, front-enders' primary point of concern is theming. Advanced front-end developers are capable of creating new themes or customizing existing themes for the best possible outward presentation of your website. The job requires a good understanding of basic architecture and best practices for site building and theme development. 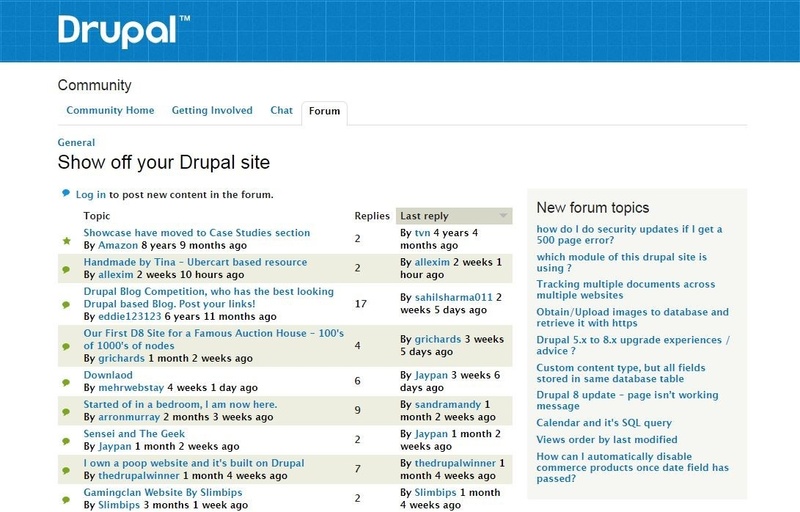 It helps to be a regular contributor to the Drupal community to stay abreast of the latest versions and theme trends. While not as programming language-heavy as back-end development, those hoping to make a career of it will have knowledge in CSS, JS/JQuery, HTML, and basic PHP. Mistakes to avoid when hiring a candidate would be hiring someone with sloppy testing practices (i.e. not testing across all browsers and devices). Also, front-end developers who ignore site speed and mobile responsiveness are not quite ready for primetime. According to the recruiting site Glassdoor, The National Median Salary For Senior Front-End Drupal Developers Clocks In At Around $75,000 Annually, but can scale to low six figures in mature tech markets—it's all very relative to what you're looking for. When selecting candidates, you are likely to see a lot of overlap with skill sets, so don't go into these positions thinking you need to hire a Drupal developer for each. You certainly can. As you're about to see, the jobs are detailed enough to stand on their own and this is all depending on the scope of your project. Don't ever think that hiring a skilled candidate from the above descriptions will cover the bases listed below. Drupal DevOps Engineers must be highly skilled in both software development and information technology operations (obviously). 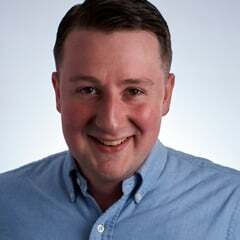 Breaking that down further, it means they need to be committed and capable of achieving 99.99% uptime across the full scope of a site's server operations. For current websites, you will want experience in Drupal 7+ (module development, SSO, etc.) as well as proficiency in core PHP/MySQL. For higher level engineers, look for experience managing cloud-based infrastructure. Also, since your Drupal DevOps Engineer will likely be a central point of contact for the back office as a whole, do not overlook written and verbal communication skills. Skimping here might not seem particularly important until the first problem arises. Compensation-wise, Senior DevOps engineers can earn north of $90,000 per year with benefits. A Drupal QA Engineer, aka Quality Assurance or Control, is in the position of the end user but they need some of the skills and expertise of the developer, who makes everything seamless and invisible. Your Drupal QA Engineer must expose every nook and cranny of the platform and its layers to ensure presentation is consistent across everything, links are working properly, etc. QA engineers should be well-versed in Drupal 7 and higher. They should have strong command of language—because of the importance of what they report—knowledge of HTML, CSS, and JS, and, preferably, they should have significant, Complete Web Testing Experience. According to a survey from the job site Indeed, Senior QA Testers Earn Around $68,000 Per Year On A Range Of $67,500-$90,000. Project management is another area in the ecosystem of Drupal professionals that demands for the end user's experience. A quality project manager will be versed in the implementation of content, strategy, and existing/emerging technologies to integrate with the Drupal CMS. They will possess genuine curiosity for emerging communication platforms and will be able to implement reporting tools like Google Analytics to see how content is performing. While most positions you hire for will be performance-based, a four-year degree in information technology, communications, or journalism, can be a helpful criterion for vetting candidates. Other useful Drupal Project Management skills include knowledge of search engine optimization (SEO) and comfort in working well in a team environment. Drupal UX, or Drupal User Experience, an element of design most closely experianced by an actual website visitor. To some degree, everyone has a little end-user design experience in them because they make decisions on whether to return to a website based on the quality of their visit. Did the page take too long to load? Too many annoying pop-ups slowing things down? Something not translating well to a tablet or smartphone? A Drupal design/UX operator is able to approach things from the user's perspective while having enough back-end knowledge To Know What Is Affecting A Negative Experience and how it can be fixed. Basic web testers can be hired at affordable hourly wages, but since most who work within Drupal have both front-end and back-end experience, pay can vary greatly depending on project scope. A Drupal architect should be proficient in PHP, SQL, JQuery, and CSS, to start as well as versed in the optimization of Drupal. They should have experience implementing other tools like Varnish, GeoIP, Commerce, Ubercart, Solr, and CRM integration, and be skilled in all aspects of web development. Red flags that you're about to hire the wrong person include choosing someone with only the latest Drupal experience—look for Drupal 6 or higher—or someone who lacks leadership and presentation skills. Pay for Drupal architects generally starts in the low $90,000 range with senior levelers hitting as high as $140,000, according to the job site Indeed. A Drupal Product Owner will have extensive experience working with customers, particularly in the retail, media, or marketing fields. They will be Well-Versed In Project Management and have a history of working well within and among teams. With this requirement in mind, you may want to target candidates with people management skills in addition to those who have worked with digital products. Problem areas to avoid in a candidate for this position would include poor communication skills, an inability to see how things integrate and work together, and poor reporting and record-keeping qualities. In the US, Glassdoor Reports The National Average Salary For This Type Of Position At $91,920; although this like many positions depends entirely on the kind of product being owned. Need a Team for Your Drupal Project? 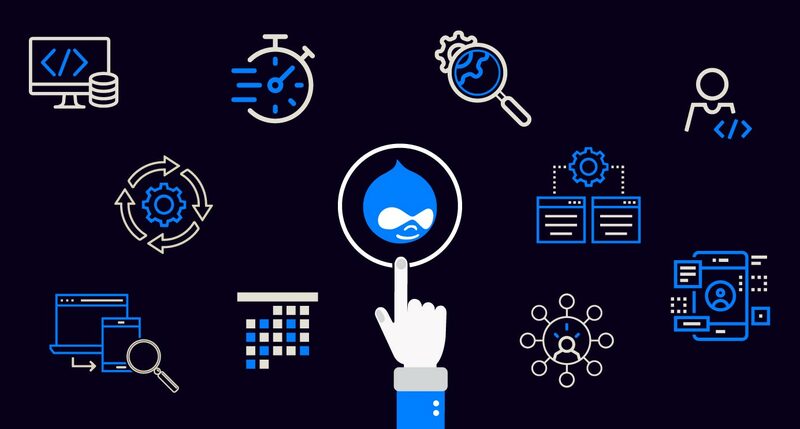 Now that you've gotten a feel for the different facets of Drupal development, you know that while some jobs and skills overlap, there are distinct functions within a Drupal project that require specialized attention. After you have determined the size and scope of your project, it's time to start looking at the key skills and qualifications necessary to achieve your goals. To assist, here are some questions to consider when you're looking to staff your Drupal team. Here are some of the best questions to ask your Drupal candidates. With which versions of Drupal are you most familiar? What modules do you always recommend to clients, and why? How does Drupal caching work? What would you do to speed up Drupal? What issues have you faced with Drupal's cache? What is your experience with Views? Give an example of a project in which you had to use Views. Describe your process for handling upgrades to a Drupal project. Do you have a Drupal portfolio or examples of sites you've built using it? What was your role in the site's creation? Who else did you work with to create the project? What were the client's thoughts on the project? What modules have you contributed to, and what is your username? Show off your Drupal site: This is where pros and experimenters come to show off what they have been working on. You can catch a wide array of talents from beginners to advanced, and all can be worth your time depending on the size and scope of your project. There is also a Case Studies section. 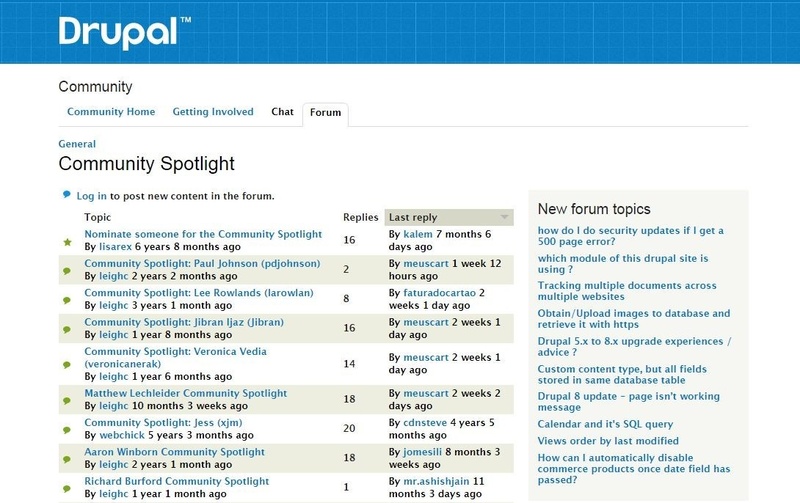 Community Spotlight: This is where the truly inspiring Drupal users are singled out by their peers. The forum thread gives you a great chance to connect with key contributors. Among them could be your future hires, or at least individuals who can turn you onto others that do quality work. 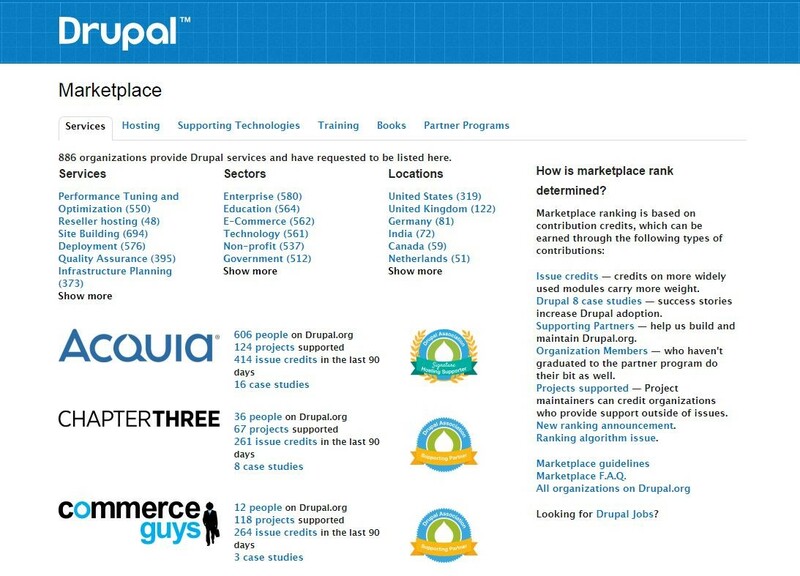 Drupal Marketplace: Currently the Marketplace lists close to 900 companies actively marketing their services. Each profile shows how many people the company has active on Drupal along with projects supported, issue credits in the last 90 days, and individual case studies authored. Paid Services: This is one place where you can tell the community what you're looking for. Recommended if you're not quite sure what to ask for by job title. Also, it is worth your time for the sub-thread, "READ THIS FIRST: Recommendations for hiring a Drupal site developer" alone. 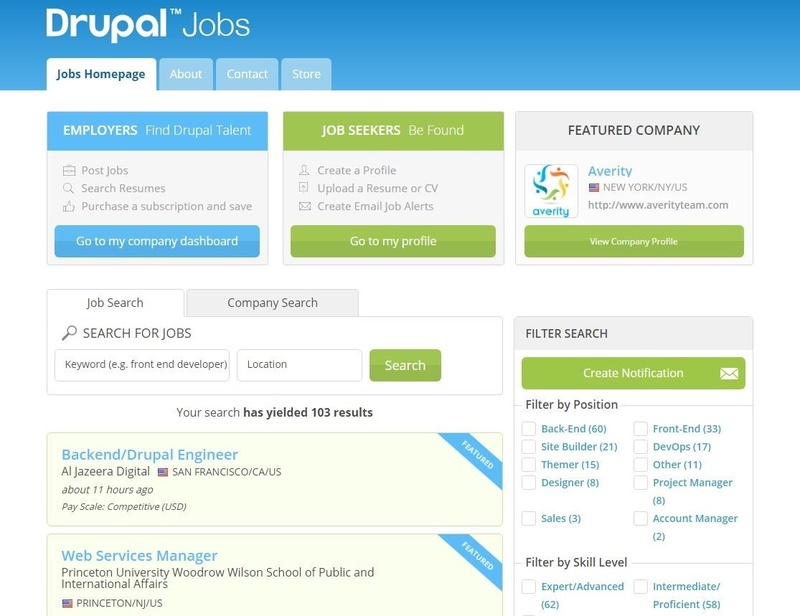 Drupal Jobs Homepage: For people who want to actively promote their openings and have a firmer handle on the size and scope of their projects. Glassdoor Drupal Jobs: Another high-profile job board in the Drupal community with thousands of postings at any given time. If any of the above seems overwhelming, take a deep breath. There is a way to skip the time-consuming process of sifting through candidates and doing job interview after job interview only to find the best interviewee is not necessarily the best person for the position. Staff augmentation services can aid you in filling the gaps in your development team without having to use all your resources on an unproven candidate. Many Drupal site owners encounter problems in the hiring process when they fail to examine their own needs prior to posting help wanted ads. Before promoting your openings, take a serious look at the size and scope of your project. Know the skill sets you already have in place as well as the gaps that need to be filled. Once you've taken this step, determine the process by which you on-board a new person. Are you looking to hire a Drupal developer full-time for one specific area, or do you need more of a generalist? Also, determine how much bandwidth you can afford to provide to the candidate search. Then, choose between hiring a Drupal developer directly or consider the use of staff augmentation.